Courtesy of JAMIE WHITE REAL ESTATE. Beautiful 5 bedroom home on a quiet cul-de-sac. Huge eat-in kitchen has a large center island, granite countertops, stainless steel appliances and Omega cabinets. Main floor also houses the cozy living room with brick fireplace, a lovely formal dining room, and a bright sun room. Step onto the spacious back deck overlooking the small creek in the back yard. Upstairs the master bedroom has two roomy closets and the master bathroom has elegant modern finishes including a jacuzzi tub. Fully finished basement has a bedroom, full bathroom, laundry, and has double doors that step out into the back yard. Only minutes from all of the amenities of Hollymead Town Center. Directions: Take 20 north to Proffit Rd., left onto Proffit. Left onto Meadowfield Way. 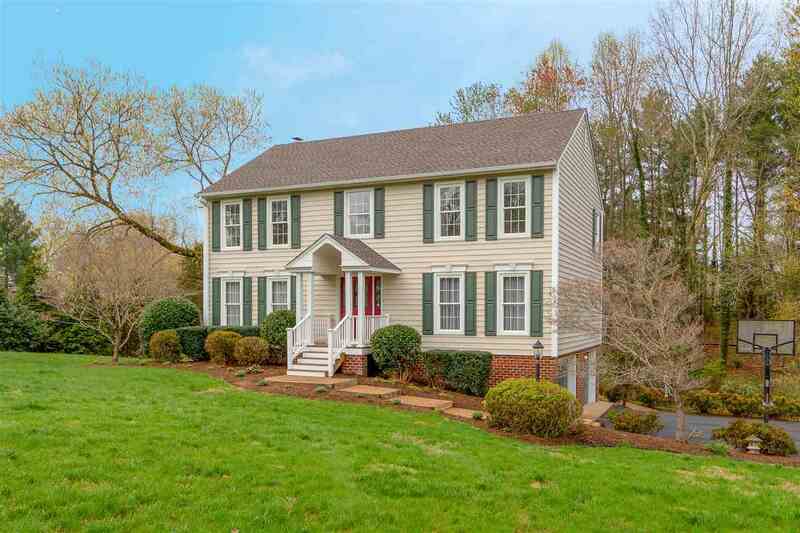 Please, send me more information on this property: MLS# 588990 – $469,900 – 2165 Meadowfield Way, Charlottesville, VA 22911.